Now that we’ve spent several weeks in the Metrics and Analytics Series defining what analytics are and discussing several real world applications, I want to spend this week reviewing and defining metrics and some common mistakes when using them. Let’s start out by defining what metrics are according to Jac Fitz-Enz in his book The New HR Analytics. 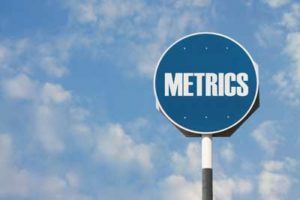 According to Fitz-Enz, metrics “are numbers that indicate how well a unit or an organization is performing in a specific function.” Rather than relying on anecdotal evidence, metrics provide context to where we can analyze performance much more accurately. These metrics come in the form of percentages, ratios, complex formulas, or incremental differences and can be either individual or aggregated. We can also track them over time in order to show trends. The data for the metrics are found in both internal and external sources. Internally, the data are payroll, employee surveys, Enterprise Resource Planning (ERP) systems, HR functions, marketing data, sales data, and financial statements. Externally, the data are common benchmarks in your industry, national and local labor market trends, salary surveys, actions from competitors, workforce demographics, and government reports. In addition, the data collected is both quantitative and qualitative. Quantitative data are the numbers. Examples of quantitative data are retention rate, overtime, training & development hours per employee which can be found in most HRIS systems. Some other examples are tracking the number of daily employee-client interactions, the number of units an employee produces, etc. These data can be used to rank employees to award bonuses, raises, and promotions for those who excel as well as offer additional training and coaching or discipline employees who are falling short. Qualitative data are actions and behaviors that are observed. There are no numbers involved which means the data are subjective. Often these data are collected via employee surveys, interviews, and observations. Examples of qualitative data are why employees stay or leave an organization, the value of teamwork in an organization, the effectiveness of how a supervisor manages her direct reports, etc. It’s also very important to avoid making certain common mistakes when working with metrics. HR Professionals need to show that we understand what we are talking about and how we analyze and report them as they contribute to the improving the business. I have summarized the following common mistakes from the The New HR Analytics. Confusing Data with Information – Don’t bury yourself in data thinking you will find some valuable information simply from gathering it. You will need to know what you will do with it once you have it. Valuing Inside Versus Outside Data – As Fitz-Enz says “…no one in the organization cares what is happening with the human resource function. All they want to know is what value HR is generating for the company.” Don’t get hung up on the HR activities, instead focus on the employee activity and how it impacts the organization. Generating Irrelevant Data – Metrics must be able to effectively answer relevant business questions so the focus must be to collect and report only data that is important to the business. Learn and understand what metrics are important to your organization. Measuring Activity Versus Impact – Don’t collect and report data that doesn’t show some positive or negative effect. Just reporting costs, quantities, or time cycles without describing their effects on the business is ineffective and a waste of everybody’s time. Relying on Gross Numbers – Try to avoid averages as they mask the effects on the business. Analyze the mean, median, mode, and the percentile in order to determine if the data points are spread out in a wide range or are bunched up around the middle. Not Telling the Story – After collecting and analyzing the data, make sure to tell the story of what happened, why it happened, when it happened, where it happened, how it happened, and to whom it happened. Never report something if it doesn’t tell a story. Analysis Stagnation – What are the implications of the data and what are you going to do with it? If the data and the story are compelling enough, determine how to get management to take action in order to solve the identified problem or exploit the identified opportunity. I encourage you to take another look at these common mistakes and do what you can to avoid them. As I mentioned, HR Professionals must, in order to be take seriously, be able to understand what we are talking about and how to effectively analyze and report our data in order to positively impact the business of our organization. I invite you to take the survey located at the top of the sidebar on this week’s post about metrics and some common mistakes about them. Last week, I published Part 1 of Linking Human Capital Measurements to ROI, setting the stage for the four human capital metrics that track the return on investment in human capital. My source is Kirk Hallowell’s essay in The New HR Analytics book by Jac Fitz-Enz. The growth and success of an organisation depends largely on the HR skills. Therefore, it is imperative that you know all the rights HR hacks. You could consider joining the New Jersey HR coaching to learn all about good HR skills. As a brief summary, Hallowell’s four metrics are designed to be event driven (how and when the measurement takes place), clear and easy to understand, and focus on the highest points of leverage for gain or loss of ROI (fewer strategic measures). So, with that, let’s dig in! An employee’s time to full productivity (TFP) is simply a learning-value curve that will increase over time as that employee improves their knowledge, skills, and productivity. TFP is a very important metric because it can focus and direct the organization’s investment strategies. In order for this metric to be effective, however, full productivity needs to be clearly defined and quantified in order to properly measure it. An employee’s competencies and professional relationships will predict the employee’s future performance and contribution to the organizations overall performance. The quality of hire is how the employee fits within the organization’s culture and their ability to accomplish their job responsibilities. Different employees will reach full productivity at different rates depending on their skills and experience. Each employee will have a different starting point, shape, and trajectory on the learning-value curve. Of course, the actual quality of a hire will vary greatly depending on how the candidates are sourced and recruited. Employees with stronger and more developed competencies will achieve their TFP much quicker. We can also use the quality of hire to justify pay differences between new hires by paying more to those who can show that they are capable of reaching TFP sooner than their peers. An organization’s decision to invest more in a higher quality of hire will be justified when that new hire reaches their TFP quicker than her peers. The quality of a promotion depends on how well the newly promoted manager adjusts and learns their new position. There will be a dip in their learning-value curve after their promotion but if the employee was properly vetted for the promotion and the proper training is administered, the learning-value curve will recover and the employee’s performance will start to provide a solid return on investment. Most of us can agree that one of the most difficult transitions an employee makes is when they are promoted from a line employee to a supervisor. The employee must shift from being a technical/administrative/functional expert to a management expert. In addition, when the newly promoted employee becomes the supervisor of people with whom they were peers, they will often fail or struggle for a long period of time. This is where the organization must invest in management training, coaching and effective feedback in order to realize a good ROI. And this is where the learning-value curve takes a dip. If the employee’s promotion is successful, their learning-value curve will recover from the dip and begin an upward increase positively impacting their direct reports, systems, and processes. The loss of good employees can have a tremendous negative impact on an organization’s economic return. Typically, an organization does not measure this impact leaving it a costly and unknown mystery to how serious the impact actually is. The potential for the employee to add economic value from their performance immediately stops. The organization’s investment in training, experience, and internal networking of the employee is immediately lost. New investments to replace the employee must be made in order to maintain and grow productivity. Loss of potential revenue streams and broken customer relationships may hurt the organization’s profitability. The employee may move to a competitor and take their intellectual capital and customer relationships with them. The remaining employee’s morale and productivity is typically negatively impacted. The separation costs of a top-performing employee has been estimated to be 75 to 125% of that employee’s annual salary when including lost opportunity costs and adding the direct and indirect costs of hiring, training, onboarding a new employee. The four metrics I just briefly discussed here give organizations the opportunity to apply a dollar amount on the cost or return on investment as they relate to human capital investment as was done above in the Quality of Separation metric above. I highly recommend you read Hallowell’s essay in Fitz-Enz’s book where he does a great job of explaining the four metrics as they apply to his case study. Please take this week’s survey, located at the top of the sidebar, about this week’s subject of linking human capital measurements to ROI! It’s a new year and now that the holidays are over, it’s time to start thinking about everybody’s favorite topic – THE PERFORMANCE APPRAISAL! I’ve written extensively about the traditional annual performance appraisal and believe there is a place for it in certain organizations but I also think it’s time to explore something new and innovative that will be more effective in today’s modern workplace. There’s a lot of talk about scrapping the performance appraisal altogether. I’m starting to believe that the traditional annual PA is becoming obsolete in today’s modern workplace. There still needs to be some sort of tool, however, to set employee objectives and expectations and then to measure how the employee did against those expectations. Today, I’m going to explore an alternative to the annual performance appraisal that, in my opinion, is one of the better systems. I did some research and landed on one that seems to be the best, Adobe’s Check-in Performance Approach. There are three components that make up the Check-in Framework. It’s important to note that the Framework emphasizes that it is the employee’s responsibility to take ownership of their career. I love this approach because it aligns very closely to a similar feedback system I’ve been using and refining in the field for years called Responsibility Based Performance, something I will write about in the future. 1. Expectations, which is driven by the manager. This is where the manager works closely with the employee to establish the employee’s expectations and goals. The manager also helps the employee clarify their role, responsibilities, and success criteria throughout the year. 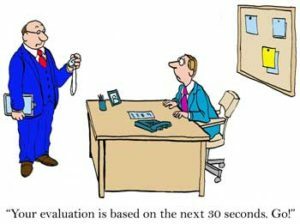 The first step in any sort of performance appraisal discussion is the need to establish clear expectations and objectives. The Check-in Framework is no different. Employees want to know exactly what’s expected of them and how their performance aligns with the organization’s objectives. Employees and managers need to meet annually to establish and outline the employee’s objectives in writing. The objectives should be clear to both the manager and employee on what needs to be accomplished and how it should be accomplished. Once the objectives have been agreed upon, they will need to be reviewed and refined throughout the year. The frequency of this periodic review will depend on the department or business unit. In order to hold everybody accountable to this Framework, employees will need to be surveyed several times throughout the year to make sure they have set expectations with their managers and are having regular follow-up meetings to review and refine their objectives. It is also critical that senior leaders show their support for the program and are following up to make sure this is happening. 2. Feedback, which is driven by both the manager and the employee. Feedback is the key to the entire Framework and will require the most amount of training. This is where both the manager and the employee give and receive ongoing feedback. The manager also provides ongoing and timely feedback that recognizes good performance and works to improve and address performance issues. Again, feedback is the key to the entire Framework and is the most difficult component to get right. It will require quite a bit of training of the organization’s managers and follow-up by HR in order to get it right. The goal with the feedback component is to have employees at all levels of the organization give and receive feedback. 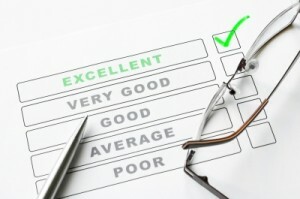 Feedback needs to be timely and relevant to the needs of the business and the employee. It needs to be given with the honest intention of helping the employee understand that they are doing a good job or that they need to improve. Remember also that feedback should be both positive and constructive. If employees are not meeting their objectives or performing up to their expectations, they will need to enter into the organization’s corrective action process. Adobe uses the Specifics, Ask, Impact, Do (SAID) model of giving feedback. Specifics – State what the person has or has not done by using concrete examples. Impact – Express the impact on the business, team, or you. When framed as a means to reach a specific business goal, it becomes an opportunity to solve a problem or understand how their actions impacted the business directly. Do – State what needs to continue or change. I also strongly recommend taking a look at the Manager Tools Feedback Model for advice on how to give effective feedback. It’s similar to SAID but leaves out the Ask element. Its also worth taking a look at my friend Morag Barret’s recent article on delivering tough feedback. Again, to hold everybody accountable, employees will need to be surveyed throughout the year to make sure they are receiving regular feedback from their manager. Senior leadership will also need to support and follow up to make sure this is happening. 3. Growth & Development, which is driven by the employee, supported by the manager, and enabled by the organization. Here, the organization and manager must provide opportunities to the employee to develop and increase their skills, knowledge, and experience in their current role. These opportunities, of course, must be aligned with the business needs of the organization and the employee’s individual ambitions. The organization must provide a work environment that encourages and helps employees grow and develop their skills and knowledge as it relates to the organization’s business. Giving them different job experiences, providing training and opportunities are ways to help employees expand their skills in their current roles and to develop them for future roles within the organization. The skills and knowledge that are being developed must, of course, align with the needs and objectives of the organization in order for the employee’s growth and development to be relevant and actionable. The organization should create a form that will help employees communicate their interests, career goals, and professional aspirations. The employee and manager should discuss these so that the appropriate opportunities can be provided by the organization and supported by the manager. Once again, to hold everybody accountable, employee surveys will need to be taken to measure the effectiveness of the Growth & Development component as it relates to employee engagement. I really like this Framework and would love to help an organization implement a version of it. It’s an innovative system that would be very effective measuring employee performance and developing employees in today’s modern workplace. As a reminder, last week I started a new feature called the HHHR Weekly Survey (using SurveyGizmo) where I survey my readers and listeners on the current blog post and podcast. Remember to take the survey I’ve included for this post which is located on the top of the sidebar or can be found by clicking here. We still have a little bit of work to do before we get into the real nuts and bolts of metrics and analytics. Last week we discussed the five steps of analytics and this week we are going to cover the three different types of analytics, Descriptive Analytics, Predictive Analytics, and Causation. Again, I am taking all of this information and summarizing it from the Jac Fitz-Enz book titled The New HR Analytics. 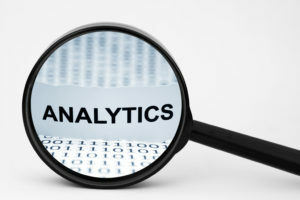 The first type of analytic is the most basic, Descriptive Analytics. This type of analytics takes a look at data and analyzes events that happened in the past to help us understand how to approach the future. With this data, we can look for reasons behind past success and failure. Most management reporting uses this type of data. As HR professionals, we all know that there are many different groups and subgroups within our workforce. With Descriptive Analytics we can really take a deep dive into our workforce and really analyze each of the different groups. It allows us to discover and describe many types of relationships and differences between the groups and show past and current behavior among the groups. It’s important to remember that this type of analytic is not a prescription or solution, but rather just the exploration of past and current data. Descriptive analytic models quantify relationships in data into group classifications or characteristic. We can take almost any group characteristic and use it to build descriptive models to understand our workforce. The characteristics can be things such as performance appraisal ratings, skills, education, rank, title, age, etc. Fitz-Enz equates this to what the marketing department does with customer segmentation and calls it workforce segmentation with the purpose of improving the return on investment, or ROI, of our HR services. The second type is Predictive Analytics. This is where we take data and turn it into valuable and actionable information. It uses data to determine the possible outcome of a future event. It gives us meaning to the current patterns that we see in Descriptive Analytics to identify risks and opportunities in helping us see what might happen in the future. It will give us a good probability of what might happen in the future. We won’t be able to predict the future with 100% accuracy but we can increase the probability that we will be right by reducing as many variabilities as possible. A great example in the Fitz-Enz book is building a model for selecting employees to hire, train, and promote for a particular position. The model is based on traits, skills, and experience of your very best employees in that particular position. You will increase the probability of making a successful selection by applying the model to all of the candidates for the job. The third and final type of analytic is called Causation. This is a combination of Descriptive and Predictive Analytics and is considered the most sophisticated level of human capital analysis. Causal modeling is used to find the hidden root cause of a problem or to make a business proposition for a human capital project investment. Fitz-Enz cites Dr. Nick Bontis as the most prominent expert of causal modeling and uses an example of the perceived value of a training program by the trainees. In his model, he wants to determine the trainee’s perceived value of the training program so he adds the perceived value of training by the trainees to their rating of the course materials and delivery. And you get a total score of 16 out of a possible maximum of 25. We can now track the training’s effectiveness over time, the value of the training to the organization, etc. Comprehension of past and current events. Understanding not only trends but also the drivers behind them. Being able to see patterns of consistency as well as change. Having tools to describe the probability of something in the future. HR Analytics takes HR metrics and looks to the future by taking past and current strategic and operational data and adding leading indicators. We now have a basic understanding of the three types of analytics which will help us understand many of the topics in this series I will cover in future posts and podcasts. Here we are. Finally, its time to dive into the most important aspect of the PA cycle, the Talent Review Meeting! So, with that, let’s go for it. Ensures the fairness of the process by calibrating the scores of every employee in the organization. Removes the pressure managers feel to inflate or deflate the ratings of direct reports. Ensures the end results reflect a shared expectation of performance since managers often have different expectations for their people and interpret standards differently. Reduces evaluation biases by forcing managers to justify and defend their decisions to their peers. Increases employee perception that the process is fair. Allows the organization to develop a succession plan with more complete performance information and data on each employee. Assists managers by providing suggestions and guidance to the reviewing manager on how to present the PA to the employee or how to deal with any other issues or concerns. Talent Review Meetings (TRMs) are where a Talent Review Board (TRB)consisting of a group of managers meet to review each direct report’s Performance Appraisal in order ensure fairness. Each manager must review and defend, to their peers, the scores they gave their direct reports. Particularly the 1s and 5s. Now that the purpose of the TRM is understood, it’s time discuss the actual mechanics of it all. Everything for the meeting was prepared last week – the ranking sheet has been filled out, the schedule has been communicated to the managers, and the notebooks have been built. So the focus this week is 100% on the TRMs. Obviously, a private conference room will be needed because it’s important that the managers are comfortable having a free flowing and frank discussion about their and their peer’s employee’s performance and conduct. It’s also kinda important that employees can’t hear what is being said behind those doors! The Talent Review Notebook containing all the PAs for the TRB’s particular session. HR is in charge of the meeting and is there to keep the proceedings professional, focused on the task, and on schedule. Once the managers are seated and have been given the documents and notebook, they need to take a few minutes to study the PA Ranking Sheet and highlight the scores that, in their opinion and experience, seem out of place. The process starts by HR and the members of the TRB opening up the TRM notebook and going to the PA of the first employee on the schedule. It’s best to schedule the strongest and/or most ‘HR supportive manager’ first. Meet with that manager beforehand to review what’s expected so they can be a model to the other managers. HR should then say “Manager #1, Let’s start off by hearing about Employee #1 and why you scored them the way you did”. The manager will then go through, point by point, the Core Competencies and Objectives defending and giving the reasons behind each of the scores. During their defense, HR and the managers making up the TRB should be asking questions and challenging the scores and comments that seem unusual, out of place, or those they don’t agree with. At first, there probably won’t be much interaction as the managers will be afraid of stepping on each other’s toes. So it will be up to HR to model how the members of the TRB should behave. HR should question and probe for reasons why a manager scored their direct report taking special note of the 1s and 5s. Ask for specific reasons and examples from throughout the evaluation year of why they scored them the way they did. Eventually, a couple managers will start getting it and will take over for you and start the heavy questioning and probing. And soon they will all start participating. Also, refer to the Ranking Sheet and question the managers who score their direct reports lower than the average and those who score higher. The tough manager might have some of the organization’s best employees but will give them low scores compared to the others and visa versa, the generous manager might have some of the organization’s worst employees but give the very good scores compared to the others. This is where the manager and TRB make the appropriate adjustments to the scores in the PA as they work through it. This situation is very common at first but will correct itself as you continue with the TRMs in the future. There will be times the manager won’t have a good reason why they scored the way they did. As they discuss, answer questions, and hear comments from other managers about their direct report’s performance and conduct, they will usually agree that the score should be changed. It can go both ways, up and down. 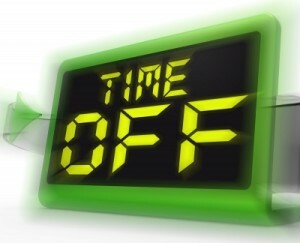 There will also be times when the manager feels strongly about the score despite what HR and the TRB thinks. This doesn’t happen often but when it does, it can get awkward and difficult. This is where HR needs to use their crucial conversational skills and help the TRB and manager make a final decision together. HR may have to accept the score or they may insist on changing it, it will depend on the situation and HR’s knowledge of the people involved. Remember, HR is in charge of this whole thing so don’t be afraid to flex your muscles if needed. Once the TRB gets going, there will be comparisons between employees and how they’re scored. Similar performing employees with similar results should have similar scores. This is good and should be discussed and explored. And the scores should be adjusted if appropriate. It’s important to understand that this isn’t an exact science. This is about people evaluating other people so there will be a lot of intangibles and biases. But the TRB will do their best to even out the scores by exploring the intangibles and reducing the biases. As a great solo HR leader, you should have a great professional relationship with most of the employees in your organization. You should have a good idea of how everybody is doing since you are constantly talking to and building relationships with them. And, since you have a good idea about the employees in your organization, does the manager’s score jive with your perception of the employee? Have there been forgotten discipline issues or performance/conduct awards the the manager has forgotten and isn’t taking into consideration? Dig, probe,and question. It’s up to you to drive the success, fairness, and accuracy of the TRM. After each section of the PA – Core Competencies and each Objective – HR should ask if there are any further questions or comments and if everybody is OK with the scores and or revised scores, if any. If there is, continue the discussion, keeping the schedule in mind, and if there isn’t, move on to the next PA.
Keep good notes during the TRM. Record the revised scores and make notes of when you ask managers to expand on or clarify their comments in the PA. Once the TRMs are finished, HR will go back and make the changes to the scores and send the updated PA to the managers for them to deliver, reminding them to update the comments, if needed. Thank you very much for your participating in today’s TRM. It’s a lot of hard work but important work spending the time discussing the performance and conduct of our organizations most important asset, our people. We were able to sit down as a team and learn more about our own people and the people of our peers today, and from what I saw, gained a lot of appreciation and value from it. I have a couple more days with other TRBs this week and once I’m done, I’ll get the final PAs sent to you next week so you can deliver them to your people. Whew, this was a long post but like I said, the TRMs are the most important aspect of the entire cycle. I could go into more detail but I think this is appropriate for a blog post and I’ll save the greater detail for a book in the future. This post, hopefully will give you a good sense of the mechanics of how to run a TRM. Please don’t hesitate to comment below if you have any questions. I’d appreciate knowing what I need to clarify and expand on. Next week, I’ll discuss week six, Delivery Week. Last week, I introduced the Objective Setting and PA forms and explained how they work together and how to fill them out. This week, the managers are finishing up with writing their preliminary PAs and turning them in. When turning them in, I have each manager email me the Excel copy of their PAs. Believe it or not, before I specified that I want the Excel copy emailed to me, I had managers scan or convert them to pdf and even scan their handwritten PAs to me. The lesson here – be specific about how you want them back. Tell your managers exactly how they are to return their preliminary PAs back to you. The reason I ask for the preliminary PAs is because the next week I will start building the Talent Review Meeting notebooks in preparation for the Talent Review Meetings – the most effective part of the cycle. The reason I want them back in Excel is because I review each one before printing them out for the notebooks to ensure they are done correctly and to fix any issues that I see. And believe me there are issues. Each manager has a different level of proficiency with Excel which will become very obvious while your reviewing their PAs. This is just the way it is and I can’t change their proficiency so I just correct what needs to be corrected. I want to point out that I don’t change any scores or comments, I just correct any misspellings and fix things that were done incorrectly. Now before I review each PA, I need to set up a system that keeps everything organized. I can’t stress enough how important it is to be organized during this part of the process. The first thing I do is create a checklist, of which I’ve attached a template to this blog post. Keep this checklist updated every single day because if you don’t, you’ll find yourself making embarrassing mistakes — trust me, I know! I pull the Manager’s Direct Report list from our HRIS and add columns 3 through 6. I also color code each manager and employee to their physical location in the company which I’ll explain next week when I discuss prepping for the Talent Review Meetings. So for the purpose of today’s post, I’m only concerned with the Prelim PA column and will discuss the other columns in future posts when they are relevant. After creating the checklist, I create a folder in my Outlook titled 20XX Objective and PA Cycle containing sub-folders of each manager (click here to see how to create sub-folders in Outlook). So as their emails come in, I have a place to file them when I process my email during the day. I use this method as a placeholder for their PAs until I can get to my scheduled block of time to start the real processing and organizing. If I don’t do this the email may get lost or deleted and I have to ask the manager to resend which is kinda embarrassing. Next, I block out time each day this week to process and organize the PAs that have come in. I do this by opening each email and copying the PA to a file on my hard drive. 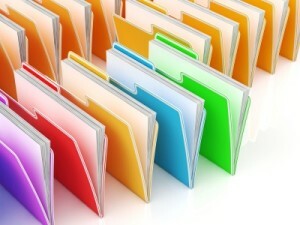 Again, for the purposes of today’s post, I am only concerned with the Preliminary folder and will discuss the other two folders when they become relevant in future blog posts. Next let’s talk about the deadline date. I always make Wednesday the deadline. Why? Because if I make it Friday, I will get a flood of PAs sent to me late on Friday afternoon as I’m trying to wrap up my week and prepare for the next week. By making the deadline Wednesday, you’ll get approx 70% of your PAs turned in by that day. The remaining will trickle in and you’ll have approx 95% of them in by Friday. The remaining 5% will be the chronic procrastinators and no matter what you do, they will always be late and last minute. I like getting the bulk of the PAs in by mid-week. That way, I have the time I need to process and organize them. So now that we have our checklist, have set up sub-folders in Outlook, and folders in our hard drive, we can start the processing or organizing. As the PAs come in and when I move them to their appropriate Outlook sub-folder, I check them off on my checklist by entering the date they were sent to me. I like to have the data of which managers are able to meet the deadline and which are not. On Thursday morning, I schedule a block of time to review and correct each PA. I also send out an email to each manager who hasn’t sent in their PAs gently reminding them that the deadline was yesterday. I repeat the email on Friday and then again on Monday and Tuesday the following week. This generally brings in most of them, except for the chronic procrastinators, of course, who will typically get them to you the morning of the TRM! Well that covers off on the Deadline Week for Preliminary PAs. Next week I will discuss how to prepare for the all important Talent Review Meetings! Below is the link to the HHHR Objective and PA Checklist template. You are free to use and modify is as you see fit for your needs. Note: I wrote this post last week but ran into some issues that kept me from finishing it up and publishing. So I’m posting this now, several days late, and will post it’s accompanying audioblog podcast shortly – hopefully. Last Friday, January 23, I attended the Mile High SHRM (MH-SHRM) Annual Conference in Denver. The theme of the conference was Mile High Adventure – Ascend the HR Summit. Pretty clever, I think. There were six tracks this year: Business and Strategy, Compensation and Benefits, Learning and Development, Compliance and Risk Management, Employee Relations, and Employment and Talent Management. Multiple tracks are always tough. There are always two or three that I want to attend scheduled at the same time. Below I’m going to briefly discuss the five I attended. The conference started off at 6:30AM with a couple of Early Bird sessions. The Early Bird session I attended was Sal Sylvester’s “Ignite! The 4 Essential Rules for Emerging Leaders.” Sal is an excellent and interesting speaker and the hour went by very quickly. His presentation was about emerging leaders who have recently been promoted to supervisory positions. This is a common issue in many organizations. People do a fantastic job in their technical role and are promoted into a supervisory position but have no training or skills in dealing with and managing people. Sal’s presentation also gave us a look into his People First Leadership model and I’m looking forward to exploring the model more deeply in the near future. I won his book of the same title during a drawing at the end of the session which is a cool thing for a geek like me who loves reading about leadership, management, and HR! The second session I attended was Gerry Valentine’s “How to Create a Culture of Innovation.” Gerry is an excellent presenter who really makes you think differently about leadership and innovation. Gerry gave advice on how HR can partner with senior leadership to drive business results through innovation. He suggested ways for HR to become key contributors in our company’s mission, objectives, and strategic goals. He also reviewed what makes some companies great innovators and what keeps others from doing so. Gerry discussed several strategies to create an innovative vision of the future. My favorite suggestion is that companies must establish diverse groups of people in order to have “creative abrasion” when it comes to decision making. I loved the term “creative abrasion” because too many companies are run and managed by people who think and act alike. This subjects them to “group think” rather than having somebody challenge them with different ways of approaching a situation. The third session I attended was Amy Shoemaker’s “HR as a Strategic Partner.” Amy was high energy and very funny. I enjoyed her quirky sense of humor as she shared strategies to help HR act and think as a strategic business partner. Her background as a VP of HR in a large company gives her significant credibility. She suggested some techniques to build and leverage strategic alliances to gain support for HR initiatives and how to understand what CEO’s need from HR and how to deliver it to them. The next session was the keynote. This year MH-SHRM had a panel discussion titled “A Mile High Culture at Work: How to Drive Business Performance Through Culture.” It was held before lunch as opposed to the end of the day as was done in years past. I was unable to attend this session because of a conference call I needed to be on. I’m disappointed I missed it since I heard a lot of folks enjoyed the keynote and were talking about it afterwards during lunch. I attended the “Labor Law Landmines and How to Avoid Them” in the fourth session. Three lawyers from Fairfield and Woods gave this session, and one of them, Colin Walker serves on the MH-SHRM board with me. Each lawyer tackled a topic: Internal Investigations, Independent Contractors, and Medical Leave. I was a little concerned about this one since sessions on legal topics by lawyers can be pretty boring. But I actually found this session to be very good and enjoyed the three presentations and gained some value from each, particularly Internal Investigations and Medical Leave. The final session I attended was Kristy Smith’s “Tools and Techniques for Managing Employee Relations Issues.” Kristy also had a great sense of humor and I enjoyed her presentation. She introduced us to the STAR/STAR-AR feedback method to assist in employee relations and foster employee engagement. Below is a very brief summary of what each letter in the acronym stands for. ST = Situation or Task. What was the problem, opportunity, challenge, or task? A = Action. What action was taken? R = Results. What results did the action lead to? AR = Action and Results again. Revisiting Results and Action after explaining the desired results. Those were the five sessions I attended. I also spent a good bit of time in between sessions visiting the vendors in the exhibit hall learning about the products they were promoting. There were several that were very interesting that I plan on exploring in more depth. So overall, an excellent HR conference. I gained a lot of practical knowledge that will help me in my day to day work and in my career. I also want to recognize all the volunteers who worked many long hours to pull this together. They did a fantastic job and should be very proud of the work they did.